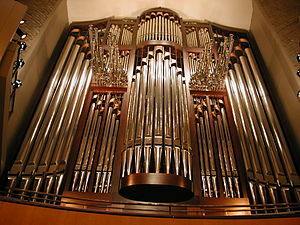 This morning at the gorgeous Winspear Centre, which was practically bursting with the majesty of the pipe organ and the excitement of those gathered, I eagerly watched the procession for the face of my sister. Somehow, in the face of full time work, a busy family life, friends, her husband’s triple bypass surgery, and having to put it all on hold for many months to recover from a serious bleed on her brain a few years ago, she managed to rally the determination to recover fully, sacrifice her weekends for writing papers, and earn a degree from Grant MacEwan University. She was smiling when I spotted her under her cap. I was deeply moved from the first second of the ceremony. The vulnerable and terrifying months after the hospital came back to me for a moment, and then made room for relief and pride and joy. And awe. Like my sister, many of those graduating didn’t party their way through university at someone else’s expense; they worked hard to clear all kinds of hurdles, big hurdles. One young woman had earned her certificate in the face of an obvious developmental disability. Being there to witness this moment made me proud to be a human being. You did good, little sister, earning this now, after all these years, and all these reasons not to persevere. Afterwards, my brother-in-law took us all out to the Pampa Brazilian Steakhouse, where we imbibed a little more abandon than we normally might on a Tuesday afternoon, and then we went back to our ordinary lives, the reality of rubbing along with family, co-workers, friends, domestics. But the memory of the morning will linger.